MOTORSPORT: Daniel Ricciardo says he feels like his new machine is starting to "come alive", but is confident there is still more improvement ahead of the first race at the Australian Grand Prix this month. Two weeks ahead of the season-opening Formula One race at Albert Park, Ricciardo was buoyed by an encouraging day of testing at the Circuit de Catalunya this morning (Australian time) when he finished with the second-fastest time for the day behind Williams veteran Felipe Massa. On day one of the second week of winter testing in Barcelona, the Australian completed 89 laps in his Red Bull to finish with a best time faster than Ferrari's Sebastian Vettel and Mercedes star Lewis Hamilton. Ricciardo said he had already noticed improvement from last week's test days and expected the Renault-powered car to continue to evolve. 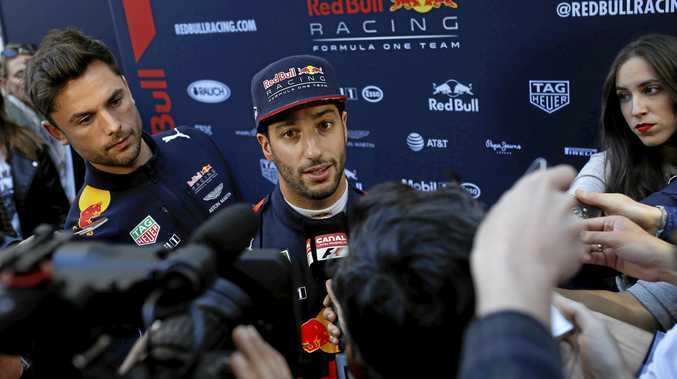 "I think generally we were happy with what we got this morning, in terms of where we were last week, I feel like the car is starting to come alive more," Ricciardo said. "It's feeling better and better each day, I feel after day, then to day two I was more impressed and day two to day three now, the feeling is getting better. "I feel the car is starting to evolve a bit, so that's nice. I still have optimism that we know we can keep evolving it, I think day by day it's getting better it's getting better, so that's good." Drivers have had far more to adjust to this pre-season after the biggest shake-up Formula One has seen in some time, with a raft of new regulations bringing wider and heavier cars and fatter tyres in the 2017 revamp. Ricciardo will start the season with high expectations after finishing third in last year's championship behind Mercedes pair Nico Rosberg - who retired after his championship win - and three-time champion Hamilton. Asked where the Red Bull's stood in comparison to their chief rivals, Ricciardo said they were not far off the pace. 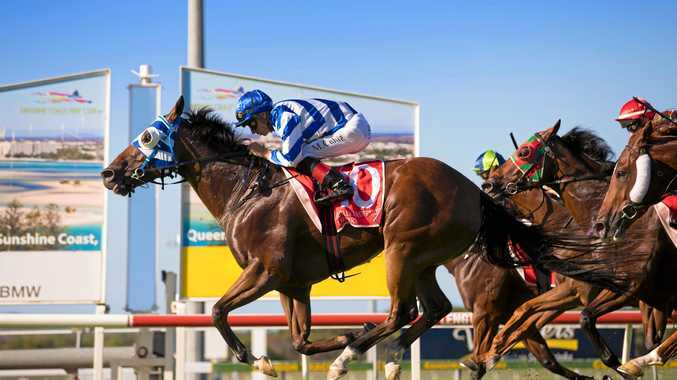 "I'm not sure we're quite on Mercedes or Ferrari level yet, but we're getting there," the Perth-born driver said. "We're thereabouts, we're close enough." While Ricciardo was confident of more improvement, he said Red Bull did not have any major tricks in its bag before the first race in Melbourne, where he will be aiming to improve on his fourth place from last year. "There is no big secret or anything, at the moment we are not holding two seconds in our pocket, but we definitely feel like we can get more out of the car - but I think probably everyone can," he said. "Hopefully not Williams, hopefully that was their best today. "But Ferrari, Mercedes obviously can still get more out of theirs. It's looking all right, (this is) now my third day in the car ... I'm getting more happy with it. I'm happy with where we are." Ricciardo's teammate Max Verstappen will hit the track for day two of testing, with the Australian back in the car for his final stint in the cockpit before his home Grand Prix on day three.